El Campo Santo is a cemetery located at the Workman and Temple Famiy Homestead Museum. As one of the oldest private cemeteries in Southern California, El Campo Santo contains the remains of the pioneering Workman-Temple family, as well as Pio Pico, the last governor of Alta California, and other prominent pioneer families. In the early 1850s, the family of William Workman established El Campo Santo, or "the sacred ground," as a cemetery solely for the use of their family. Among the first to be buried here was William Workman's brother, David WOrkman, who was killed in an accident while driving cattle to the gold fields in Northen California. At the turn of the century, the cemetery was abandoned and its brick chapel destroyed by fire. Walter P. Temple, a grandson of the Workmans, successfully filed a lawsuit preventing any further desecration of the cemetery. In 1917, he was able to purchase the cemetery and the surrounding 75 acres and began restoration. 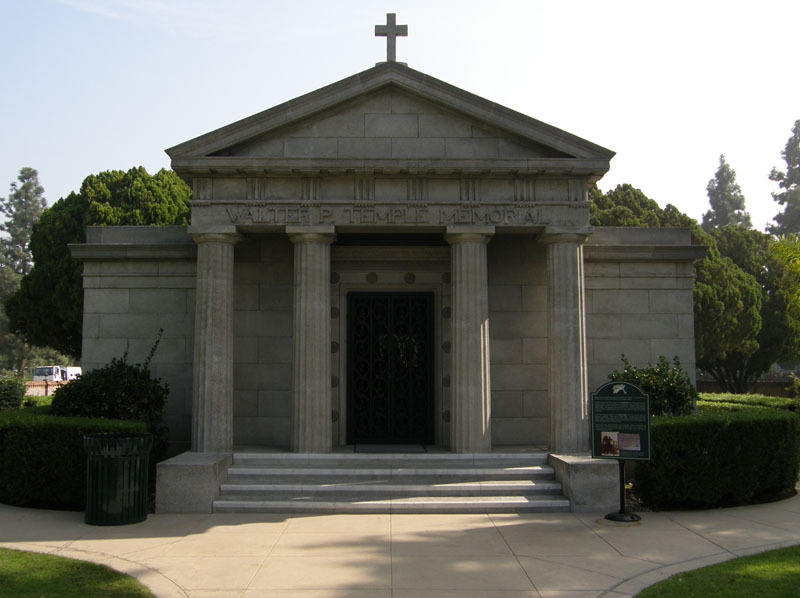 In 1921, he also transferred the remains of Pío Pico and his wife, Ygnacia Alvarado de Pico, from old Calvary Cemetery on North Broadway in downtown Los Angeles, which was being relocated, and had them entombed in the mausoleum. The Workman Home and Family Cemetery are designated as a California Historical Landmark. The cemetery was placed on the National Register of Historic Places on November 20, 1974. Click here to visit the Workman and Temple Family Homestead Museum website. Click here for more information on El Campo Santo Cemetery on Find A Grave.